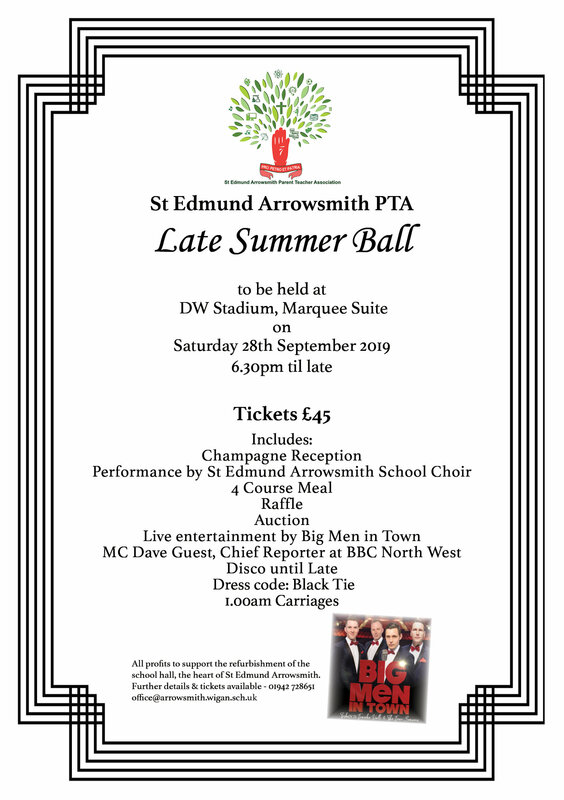 St Edmund Arrowsmith Parent Teacher Association (PTA), has been raising money through fundraising events, raffles and 200 Club. Follow our Twitter page @SEACHPTA to keep up to date with our up coming fundraising events! Over the past 18 months the PTA has raised enough money to re-vamp our library chairs and tables! The blue and lime green colour scheme, complete with super-comfy bean bags have had pupils coming into the library in droves, making the library definitely the place to be. 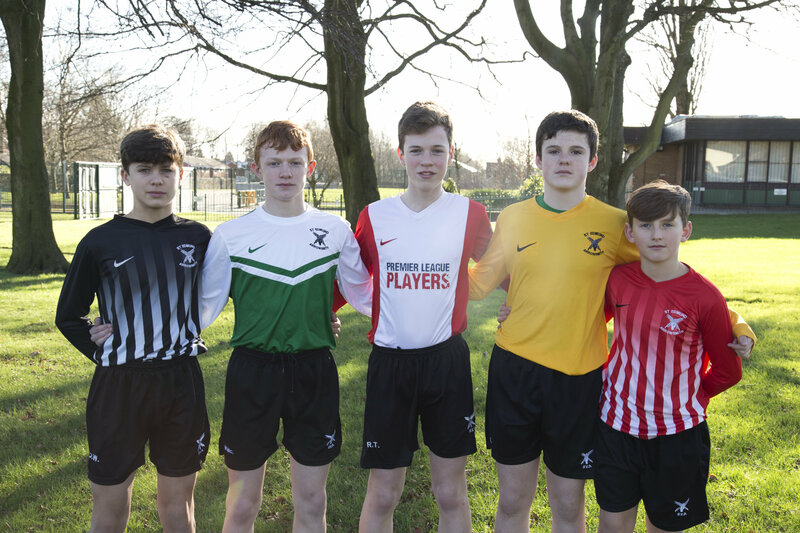 The PTA have raised funds from school fairs, raffles and events that have contributed towards the new school football kits! Make sure you are following @Eddies_Pe to keep up to date with our fantastic PE department! Congratulations to the winners of the Christmas raffle. 1st prize D Pullen, 2nd prize L Rees, 3rd prize D Young and 4th prize M Unsworth. Thank you to everyone that bought tickets we have raised £1081 for the PTA funds! There will be another raffle taking place at Easter, keep an eye on our Twitter page for more information! It is not too late to join the PTA 200 club. Simply fill out our application form! Now only £6 until the end of August 2018 if you get it in before our next draw at the end of January! Fill in the form and send into school with your cash or cheque. Standing order mandates can be completed, however if you renew next year the full amount will be £8 until the end of August 2019.